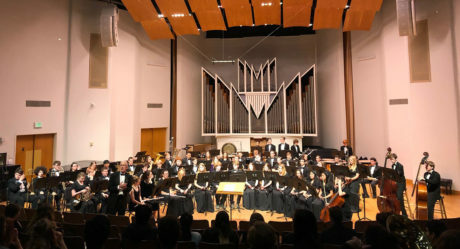 Friday Harbor High School’s Band students earned three superior ratings at the San Juan Music Educator Association Large Group Band Festival at Western Washington University on March 28, 2019. Sixty high school students from the school’s Jazz band, the “Zero hour” band, and the Concert band classes traveled to Bellingham for one of the two days of the festival. This annual regional festival includes schools from Mount Vernon to the Canadian border. There were close to 30 Bands that participated. A superior rating is the highest rating bestowed upon a band for performance. So proud of all the musicians from FHHS. Kudos to Mr. Nelsen for his great leadership in keeping music available to our students.